UNISON appreciates the position the Council finds itself in a result of the austerity agenda and the long term failure of central government to address local government funding. We have highlighted the loss of 40,000 jobs across local government in recent years and the effect that has on services and the workloads of the remaining staff. In any other industry that would bring political calls for a rescue package. We have also highlighted the failure of austerity cuts that create a vicious circle of more cuts while making the economy worse – but this morning we want to focus on four of the broad areas in the papers being considered. Firstly the job losses: The suggestion that team leader and specialist posts can go with no effect on services troubles us. In many services team leaders are an integral part of front line service delivery. The dangers of undermanaged services have been writ large in Edinburgh before and in other authorities. UNISON is not aware of any in-depth analysis within the council of the role and functions of team leaders in service delivery and therefore we query the assumption that these posts can be cut, somehow freeing up resources for front line staff. Having said all that, UNISON congratulates the council on its no compulsory redundancy policy and urges it to stick with it despite the pressures it will face. On the neighbourhood model, our initial response highlighted the experience of failed neighbourhood experiments in the past which convinces UNISON that this is a high risk strategy unless significant lessons are learned. Those include duplication, inconsistent standards and policies across the city, the failure of ‘generic’ management and the lack of direct lines of accountability, professional leadership, service direction and planning. On outsourcing, we hear the assurances from the administration but we remain concerned that it is not off the agenda. If the council remains committed to in-house services UNISON believes it has to make sure that is heard loud and clear by officials, especially where they may have come from and/or remain connected to a profit driven rather than public service culture. 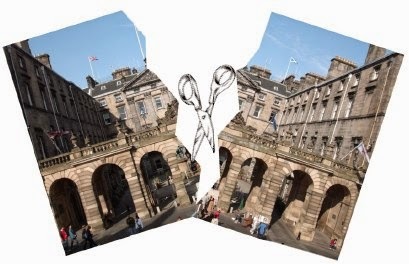 On the community and voluntary sector, we don’t just speak up for our members in a host of voluntary sector organisations that provide services for Edinburgh but also for our members in the council who will have to pick up the pieces when these services are cut. One of the concerns we hear in social work and also in other functions is that we can’t say we are full up. The council is not like Tesco’s where they can just stop providing something if not a lot of people need it – or they can choose which customers they want to do business with. So many services the council delivers are needs led and the council just cannot walk away from them. Our concern is that this means more and more pressures on council staff. In conclusion, UNISON will engage constructively with the council but with the spectre of 1200 job losses, we will also need to put the question to our members as to how they wish to respond. As we have said before, we welcome the forthcoming review of local government finance but central government needs to take some interim action now so that there is something left to actually review.